Awareness is everything in the world of insect rights. Too many people think insects can just be cast aside like inanimate objects. Insects have rights too, and it's up to us to fight for them. Support a ban on the raising of mealworms to feed exotic pets. 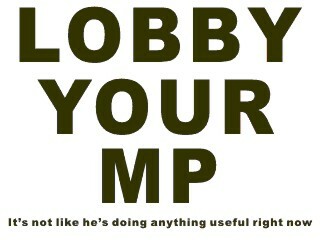 To find the name and contact details of your local MP please click here. Make it a personal statement - real-life stories of the distress caused by insect abuse have far more impact. Always let the addressee know your name and give your address. Explain how you are affected by the issue and what your views are. If you have any special training or expertise in the subject, say so. Be polite - being aggressive won't help your case. If a politician already supports an issue you care about, write to thank them for their concern - such support may further develop a politician's interest in the issue. Request an answer to your e-mail/letter - you can find out how your political representative intends to act. Write a follow-up - depending on the outcome it may be a thank you or a polite expression of disappointment.